War criminals like Obama and Henry Kissinger usually get the award, last year narco-terrorist Juan Manuel Santos, Colombia’s president, this year an exception to standard practice – the International Campaign to Abolish Nuclear Weapons the honoree (ICAN). Launched in 2007, the group now has 468 partner organizations in 101 countries. Headquartered in Geneva, Switzerland, its international steering group and staff coordinate campaign activities. 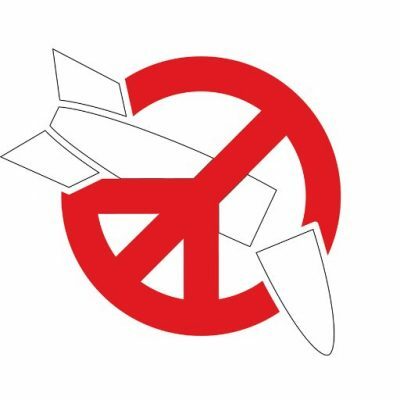 They include “global days of action, hold(ing) public awareness-raising events, and engag(ing) in advocacy at the United Nations and in national parliaments” to persuade countries to support banning nuclear weapons, the group explained. In July 2017, 122 UN member states expressed support for the Treaty on the Prohibition of Nuclear Weapons. If ratified by 50 or more nations, banning these weapons will be binding under international law – at the same time, accomplishing nothing toward eliminating them, possible only with enough unattainable political will. The International Campaign to Ban Land Mines, merged with the Cluster Munition Coalition (the ICBL-CMC), did nothing to eliminate use of these weapons – despite the 1999 Mine Ban Treaty and 2008 Convention on Cluster Munitions banning them. Nuclear weapons threaten humanity’s survival like no others. If not eliminated, they may eliminate us. The risk is too overwhelming to ignore. Far more than a Nobel Peace prize to ICAN is needed to accomplish what continues to be unattainable – to save us from possible nuclear annihilation. What should be the top priority of all nations isn’t even a topic considered worthy of serious discussion in Washington and other nuclear-armed states. Possible US-initiated nuclear war on the Korean peninsula, endangering the entire region if launched, highlights the horror these weapons pose.